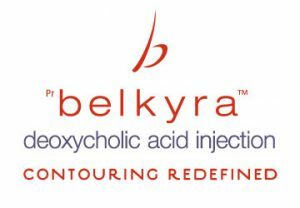 As of Feb 1 2016, Belkyra (also known as Kybella injectable in the US), has just recently joined the list of treatments available in Canada. 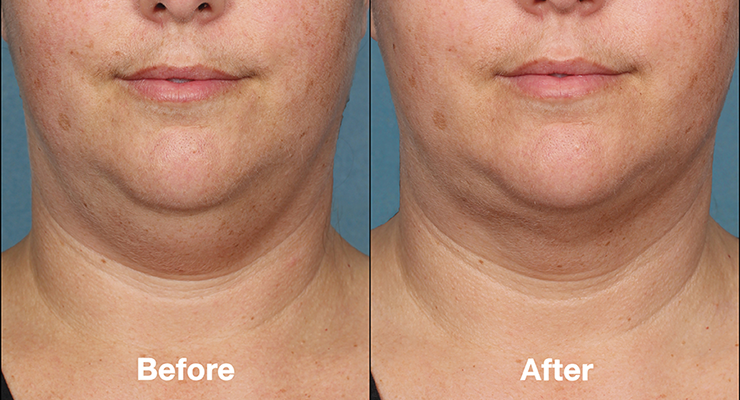 This procedure specifically targets the stubborn fat (called submental fat) that rests on the under side of the chin. This quick, non-invasive procedure restores a younger look to your face, and is effective at targeting fat that even diet and exercise cannot eliminate. Dr Crippen was among the first Canadian physicians to be trained to perform this procedure at the product launch on January 30, 2016 in Toronto. Helping men and women achieve the skin they’ve always wanted has always been our goal, so we are very excited that we can bring this new treatment to our clients. This type of medication has been around for many years and Dr. Crippen has been using it for almost a decade to reduce pockets of fat on other areas of the body. It is composed of deoxycholate, a synthetic non-animal chemical that can disrupt the cell membrane of fat cells so that they die and and are then naturally eliminated by the body. Deoxycholate is found naturally in our own bodies to break down the fat we eat. The product we inject is indistinguishable from what is found circulating in our own bodies. Our Belkyra procedure is very simple and fast. We assess and identify the area to be specifically targeted, then a thin sheet with coloured dots are placed on the skin. The sheet is then moistened with water and these small dots are transferred to the skin temporarily for the procedure. (They are wiped away immediately afterwards). We then inject Belkyra in a very systematic and precise fashion into the fat pocket. The treatment is then complete and you can go back to your normal activities immediately. The injections work by dissolving the protein membranes around fat cells, allowing them to collapse and be disposed of naturally by the body. All you’ll feel is the injections themselves, which are applied with a very small needle to the area. Overall, the treatment takes only a few minutes, and you’re appointment will likely fall well under an hour. Follow-up treatments are booked right away so we can monitor progress and assess the need for another session. Usually 2 to 4 treatments are required depending on the amount of fat to be removed. There are usually no side effects beyond bruising and swelling from the treatment that will require any recovery time. You’ll be able to walk out immediately after the treatment is over. You should expect minor soreness in the injection spots, some bruising and swelling, but usually not enough that you’ll have difficulty moving your neck or head. Everyone responds in a unique way, so it’s always best to talk to a qualified and well-trained physician like Dr. Crippen about your treatment options. Most patients will experience some swelling after the procedure, which varies in amount from person to person. Also, small areas of bruising can be common due to the injection process. You can return to normal activities immediately after the procedure. Generally we see results within a few weeks for some patients and longer than a month for others. 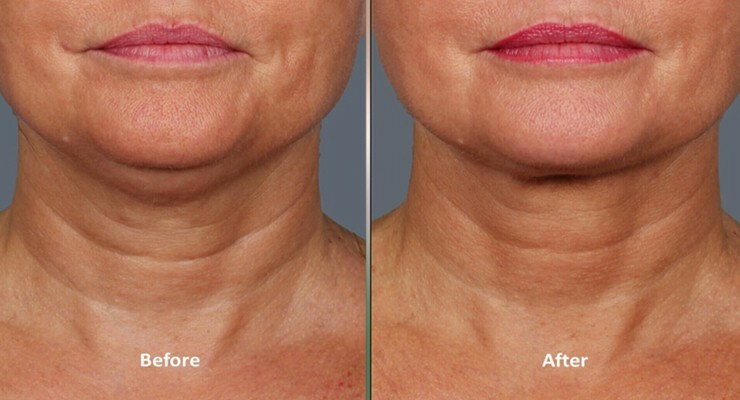 Again, treatment results vary between patients and cannot be anticipated beforehand but we have a great deal of experience with this type of procedure and it has so far been universally effective for treating a fatty double chin. Are you interested in the Belkyra treatment? Call our office to set up your consultation. We’ll assess your candidacy, take you through the options, and set an appointment for you to get the treatment you need. Will Belkyra Work for My Loose Neck Skin? The Belkyra procedure is effective in reducing fat or adipose tissues and it will not tighten skin specifically. If you also suffer from excess saggy neck skin, you may also require a completely different treatment to address this issue depending on its severity. Most patients do find their skin also tightens after the procedure but we cannot guarantee this for everyone. Why Choose Dr. Crippen for My Belkyra / Kybella Procedure? Dr. Crippen and DermMedica are well-known innovators and on the forefront of body contouring and facial rejuvenation aesthetics. 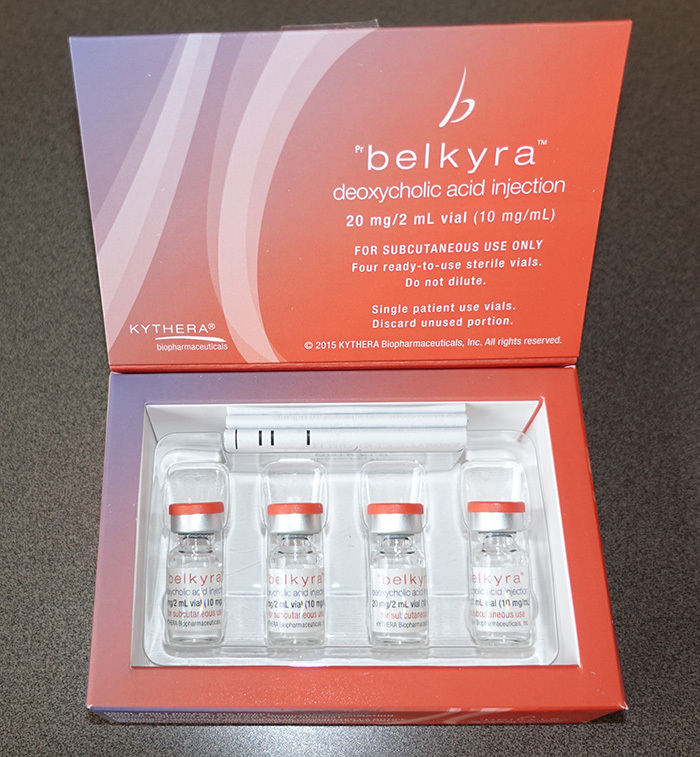 Dr. Crippen has been injecting compounded and formulated deoxycholate, the active ingredient in Belkyra Injectable for almost a decade. 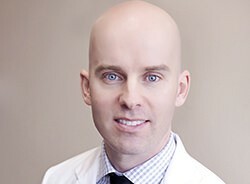 He is an expert in its administration, and obtaining the best results possible for each patient. 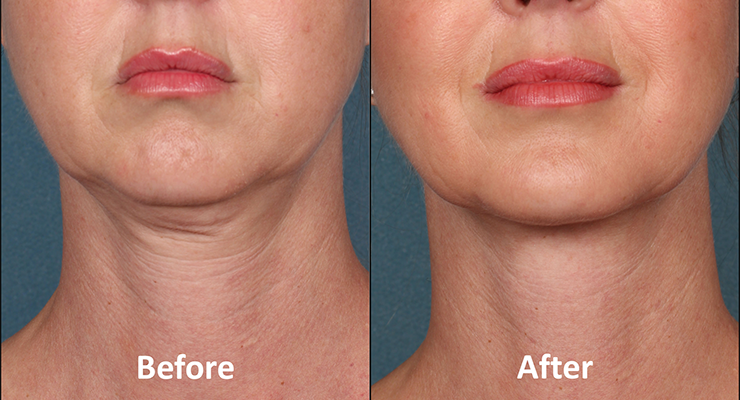 Everyone is different, but we usually recommend 2 to 4 sessions of Belkyra to reduce the double chin / fat noticeably. We space these treatments about one month apart. Would I Get Loose Skin From The Kybella Treatment? This is a good question but the answer is generally no. 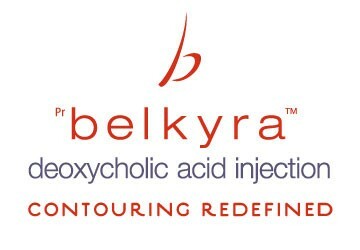 Belkyra causes inflammation in the area injected which causes fat cell death as well as skin tightening. If before treatment there is excess skin, this will be remain after treatment but no additional skin laxity should be created by undergoing the treatment. I Have Round Face With Double Chin. What Is Best For Me - Kybella Or Botox For Jawline Slimming? Both! Botox and Belkyra are two completely separate treatments that work for two completely different trouble spots. Slimming the jaw profile with Botox is exceedingly effective and combining it will Belkyra for a double chin will provide dramatic improvements in the overall facial profile. Can Kybella Be Used To Remove Jowls? The term “jowel” usually refers to saggy skin under the chin. Belkyra is not designed to treat this problem and there is little that can be done for that right now aside from something like a major face lift. Is Kybella As Effective If You're Overweight? Yes, it is effective for people of all sizes but the ideal patient would be at or near their ideal weight with excess submental fat. 55 Year Old With Bad Fat Under Chin. Will Kybella Work for Me or What Are My Alternatives? Yes, it is possible Belkyra will be effective for you but first we need to see you for an in-person assessment to accurately judge your eligibility for the procedure. How Many Sessions of Kybella Would I Need for My Double Chin? Every patient is unique and depending on the amount of fat under the chin we usually recommend anywhere from 1-4 treatments. What Is a Permanent and Guaranteed Fix for My Double Chin? Both Belkyra and surgery are permanent options to remove submental fat. The option you choose greatly depends on your particular situation and needs. Can Kybella Be Used Along the Jawline? Unfortunately Belkyra cannot be used to tighten the jaw line for two major reasons. One, that area is prone to saggy skin, not excess fat. Second, there are nerves in that area which would be damaged from Belkyra so we avoid that area completely. How Long Will Swelling Be Noticeable? The first treatment of Belkyra results in significant submental swelling and can last anywhere from one to four weeks on average. Subsequent treatments usually have less swelling for a shorter period of time but each patient is unique in this respect.